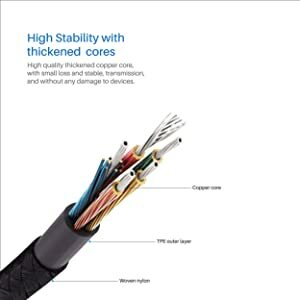 Copper Core and Tangle-free Woven nylon built cable.The cable is more sturdy and stable.Improved construction techniques and materials make a cable that last 5X longer than the normal one. 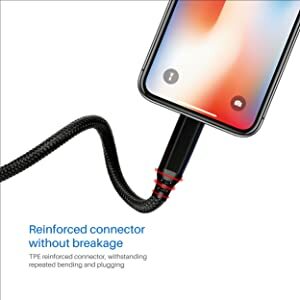 TPE reinforced connector protects cable while repeated bending and plugging. This Multi USB cable is tested for 4000+ bends lifespan.Premium woven nylon adds additional durability and tangle free functions. Tangle free Woven Nylon braided USB cable has a long bends lifespan. 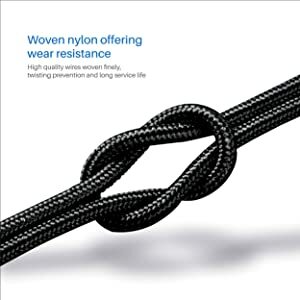 A stronger and flexible nylon material is stress and stretch resistant and protects against day-to-day wear and tear.